C&D World Exhibition and Conference 2016 hosted by the Construction Demolition Recycling Association (CDRA) will take place from Sunday the 1st of May to Tuesday the 3rd of May 2016 in the DoubleTree by Hilton Hotel, San Jose, California. GreenRock Equipment are looking forward to being present for the construction demolition show. The CDRA’s Annual Meeting is the only event that focuses on C&D recycling, and is always attended by the leaders in the industry, while having an exhibition floor dedicated to the equipment suppliers and services for C&D waste processing. The construction demolition show will also include a planned tour of the Zanker Resource Recycling Facility which has seven recycling lines, all certified under the Certification of Recycling Rates (CORR) program. Approximately three-quarters of construction demolition waste materials are divertible—that is, technologies and markets exist in California to recover the material through recycling or composting. The most prevalent divertible materials are recyclable aggregates (about 27 percent of the construction and demolition waste stream), followed by recyclable lumber or wood waste at 15 percent. There are more than 500 facilities in California that process construction and demolition materials for wholesale distribution or further processing. Based on available recycling technologies and markets, primary materials to focus on include recyclable aggregates (particularly composition roofing and large asphalt pavement without rebar), recyclable wood waste, rock/dirt/sand, paint, and recyclable metals. Within the lumber category alone, 37 percent of the material currently landfilled is clean dimensional lumber or clean pallets and crates. GreenRock Equipment along with EDGE Innovate understand the intricate challenges facing those in the Construction Demolition waste sector. The robust and efficient product range from EDGE Innovate has been designed to withstand the difficult conditions of the waste management sector allowing operators to rest assure that the plant supplied by GreenRock Equipment will not let them down. 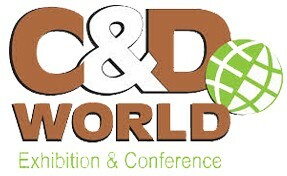 To find out more on how GreenRock will help you to divert C&D waste from landfill and enable the quick and easy separation of wood, metal, clean stone, paper and plastic at the lowest possible operating cost, visit us at C&D World at Booth 1.